Elise Stark joined the Ebbw Vale office in September 2015 as an Associate solicitor specialising in conveyancing, wills and probate. Elise studied at Coventry University and went on to obtain her LPC at the prestigious College of Law, Chester. Elise went straight into practice as a trainee solicitor and was admitted to the Roll in February 2003. Elise settled down early on in her career with conveyancing, wills and probate which has been her area of practice ever since. 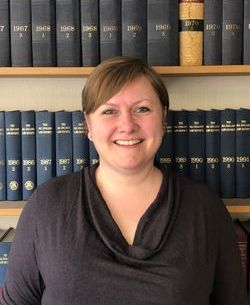 Elise is an experienced solicitor with an established reputation in these areas and prides herself on being empathetic, approachable and straightforward with her clients. As a testament to this, Elise regularly gets instructions from repeat clients.